Are you being Mommy Tracked? At first, Candice thought she was overreacting. Were things really different in the office ? Or was it just that her priorities changed ? She was a first time parent and elected to take a few months of maternity leave. Although she was a dedicated career woman, she had great joy in being a mother to her daughter. It was another exciting milestone of her life. She struggled wth the decision to return to work, but knew that she would not feel complete unless she did. She was a classic workaholic after all. The return to work was difficult. Candice felt immense guilt for hiring a nanny to care for her daughter. She found it difficult to concentrate and constantly wanted the day to pass quickly so she could rush home. She thought she was lucky that things had surprisingly settled in the office while she was out. After some time, Candice gained clarity and was settling back to her old self. It was then that she noticed things were still different. She didn’t regain all of the responsibilities she had when she was out. They remained dispersed within her colleagues. She wasn’t always invited to major meetings like she used to be. Some of the new projects were still being given to others. She also found she was more at her desk than usual. She was leaving at a reasonable time, and she was able to take lunch most days. It was also apparent that the majority of the VIP client assignments were being given to her coworkers. She was given the less demanding ones. She felt unimportant and left out. She had the same job title and same pay, but the role itself felt different. Why did this all change? Many working moms know the feeling. It’s uncomfortable. It feels as if you’re overacting – but the situations come up more often. Then it hits – you might be a victim of mommy-tracking. A mom might be mommy tracked if she notices a change in her role at work. Specifically, it refers to a situation where a mother returning from leave finds herself with less responsibility than what she had before she left. It appeared that Candice was a classic case. Sadly, mommy tracking really does happen. It is not necessarily malicious, but it does undermine the mother’s ability to play both parental and career roles. If it happens, what can mothers do? It’s really tough to say. It depends on many factors, including personal preference over your work-life balance, parenting goals, career goals and even, the environment at work. Other moms may want to speak up. There’s absolutely nothing wrong with it – so long as it is done professionally and calmly with your superior. If this is the route for you, request a meeting and come prepared. Ask what you can do to be more involved. Volunteer to assist where needed and offer your expertise when appropriate. Not quite able to take on extra work? No problem ! Do the best with what you’ve been assigned with. Be confident in your work and let your talent shine through your own assignments. Take initiative where you can and maintain that team player attitude. In any case, mommy tracking should not stop or deter anyone from their goals. It is possible to be a working mom, even with all the challenges that come with it. Readers: Have you experienced Mommy tracking or know someone that has gone through it? What advice do you have for moms out there? This is definitely a major issue in some companies! In my experience, another mother was the one who mommy-tracked her reports. I experienced this to some degree at the last company I was at. It’s unfortunate that it happens but it is very common. I hope not to have this happen a second time around. Thanks for posting! That’s so interesting! After coming back to work I didn’t end up staying long enough to experience any of this. If I had stayed I feel like it may have been a welcome break even if it is a little insulting. I’m scheduled to go back to work in a few weeks and I am already dreading it. Of course I want to work and do my own thing but the thought of being away from my babies all days is painful. If I’m mommy tracked, I will definitely take it as a positive just like Candice did. I enjoy my job but never as much as being a Mommy. I’m also a full-time working mommy. I felt guilty initially going back to work and leaving my little ones behind. But after having my second baby, I definitely feel that I could use some adult time and be able to chat with adults and talk normally rather than doing baby talk all the time. Personally, I haven’t felt mommy tracking in my job. I guess I am one of the lucky ones. Love this, thanks for writing it! I was so focused on my career until my littles entered the picture! Then I was focused on them and torn torn torn all the time! Hard to find the balance! After 5 years of it, I quit and decided to be a stay at home Mom! I ended up working for myself after having my first. I felt like this was the best choice for me thinking my work as a manager would expect too much from me …. but maybe this would have happened instead! Wow! This was really eye opening. I am an attorney and will definitely be keeping this “mommy tracking” in mind when I immerse myself back into the workplace one day! Thank you so much for sharing! I have had friends who experienced this. Even continued to get normal raises but lost fulfillment at work post baby. It especially happens with men or childless women in management I think and agree it’s not necessarily intentional or malicious- though it can feel very personal to the mama being affected. Great post. We definitely need to raise awareness about this! 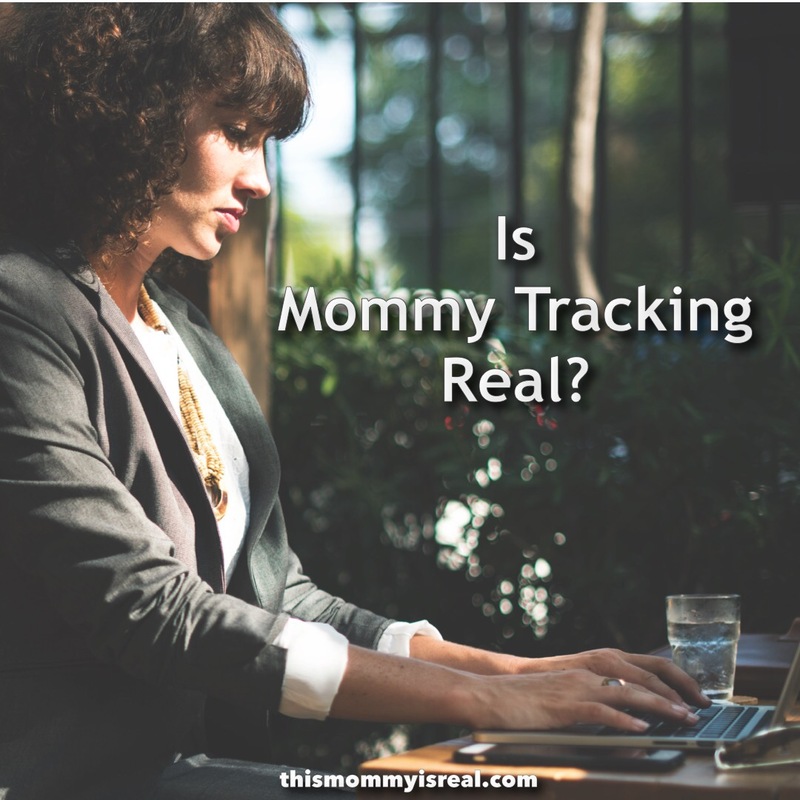 I am sure there are many moms out there who experience “mommy-tracking”. I never read or heard about this before, but it makes sense what you share and why it would happen. As a former elementary teacher, I know that those teachers who are moms of young children always arrived at school right on time and left at the end of their contracted day. These teachers also did not help with additional after school activities or programs as they were busy with the extra activities of their own children. Because of this, they weren’t the ones asked to be a part of additional teacher tasks. Once you become a mom, your priorities shift in a positive way and you need to find that ideal balance of reaching your goals as a career woman and a mother. Good luck and thanks again for sharing this post! I know many new moms will find this information extremely valuable.